Download bbl fixtures including the exact time the game begins and venues where it will be played so that you can schedule your time table accordingly. We have updated the latest fixture for big bash league 2018/19 in a pdf file and yes, its free to download for you. We have also included the complete fixture below in table format too. Also you can see the individual player’s name for each team below. 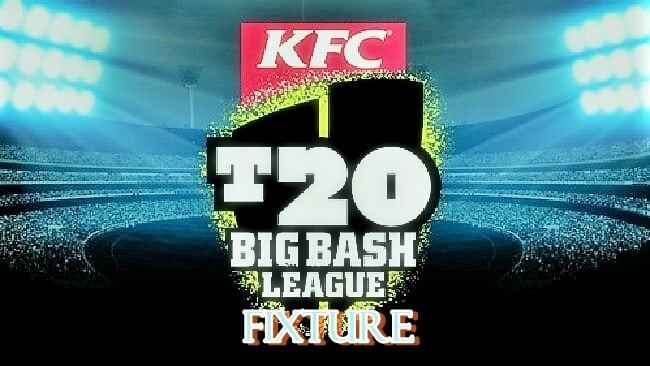 Altogether 59 matches will be played in this year’s KFC Big Bash League 2018/19 including finals. BBL 2018/19 will start from 19th December 2018.